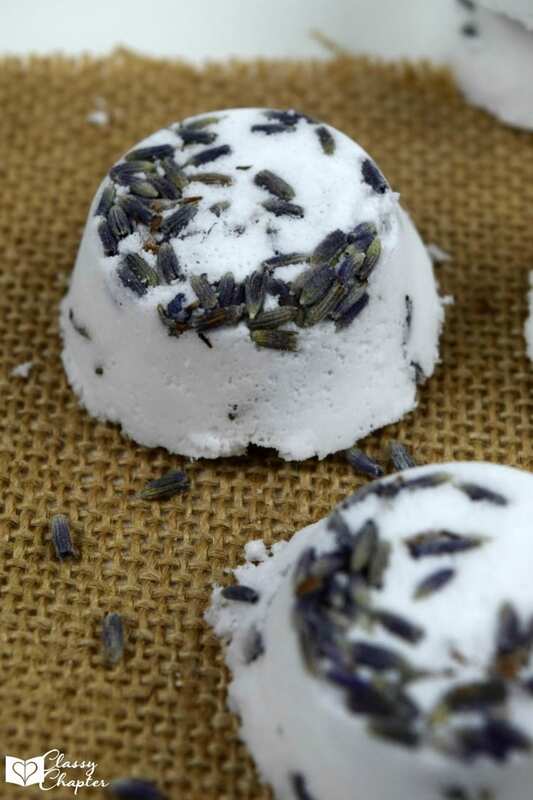 Homemade Bath Bombs are such a luxury to have in the home. It’s even better when you can make your own! It’s so much more affordable and you’ll know exactly what ingredients are being used. 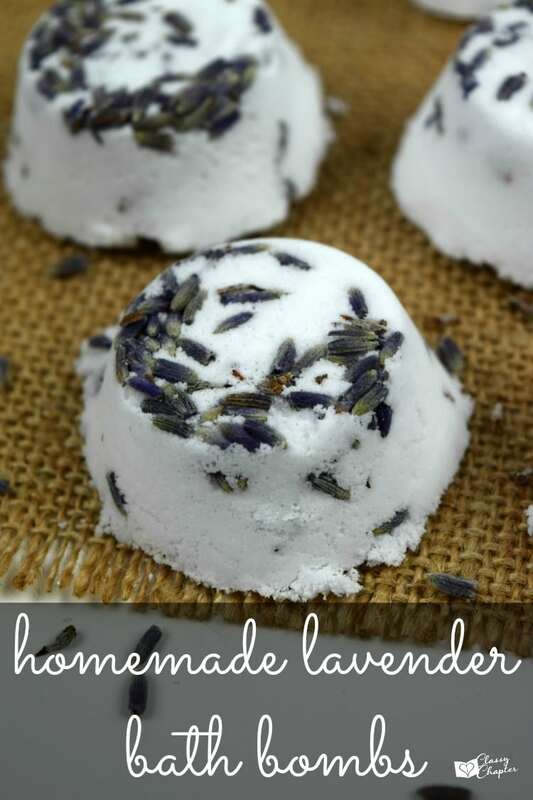 These Bath Bombs are one of my favorite easy DIY crafts and I love that you can customize them with different scents. These are perfect for in home spa day or a Mother’s Day gift! 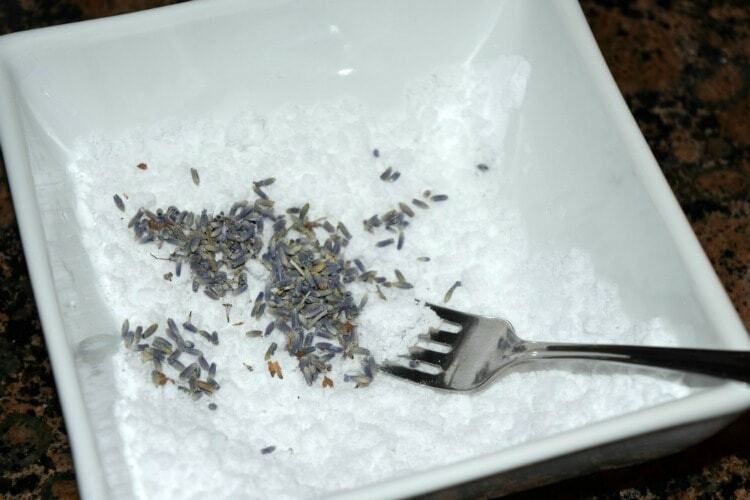 Grab a bowl and pour in your baking soda and your citric acid and stir up with a fork. Grab your water and drop by drop add in water and stir quickly. Water will start to make the mixture react so by stirring quickly you’ll stop that from happening. I added in the entire tsp of water but literally did drop by drop until I was happy with the mixture of my powders. Once the powders form a wet sand look it’s done. If you have opted to use essential oils now is the time to add those in. If you want to add in lavender buds add those in and give it a quick stir. 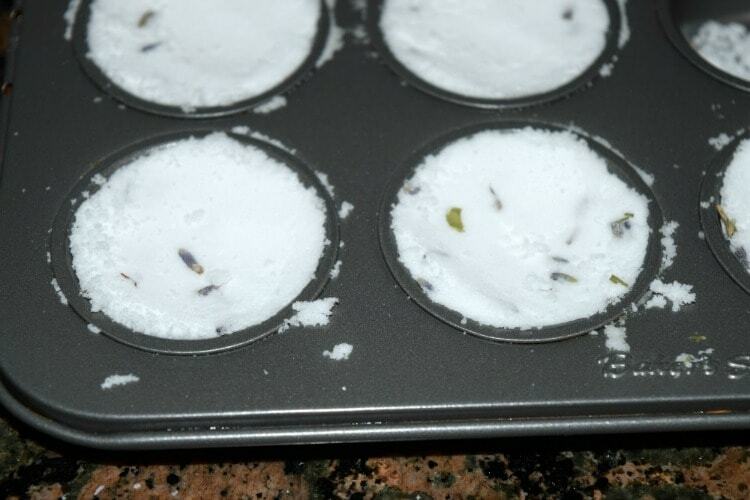 Grab your mini muffin pan and lay lavender buds on the bottom of the pan and start spooning in your bath bomb mixture. Be sure to press down firmly and pack them nicely. Allow to set in the muffin pan for at least 20 minutes before remove. To remove just flip pan over and gently tap. To use just drop one bath bomb into your bathroom and enjoy the relaxation! Want to see even more DIY projects? 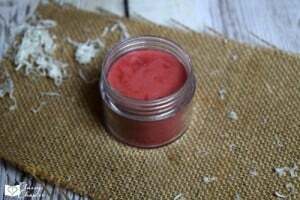 Check out this easy lip balm tutorial.